Stabilisation, normalisation, confidence building and reporting – the four cornerstones of the EUMM mandate and, at the same time, the first four words which I remembered when receiving information about my upcoming deployment to Georgia. Honestly, it did not mean much to me in those early days. This was my first mission, and I was primarily focused on adapting to my new life. However, there is much more to those four key words of our mandate than meets they eye! As a police officer with 16 years experience in the field of investigation and special interventions, I was used to working in an explosive and highly volatile environment. I like my job very much, but there has been always a slight concern of how life continues for those involved in violent altercations? 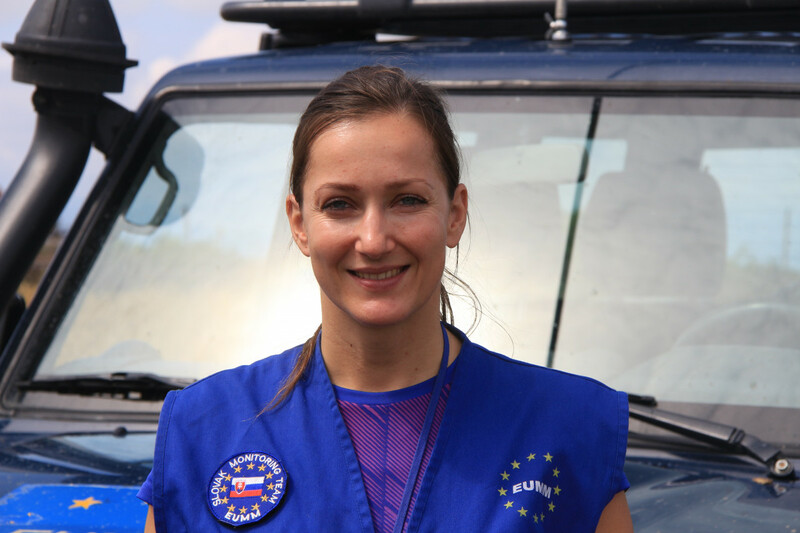 Working with EUMM has changed this and I highly value the importance of working in a post-conflict environment without the use of force. My colleagues in the Field Office, and I, are all people with different professional backgrounds combining our skillets in order to achieve one common goal – not to allow hostilities return to this beautiful part of the world. I find it amazing that through our monitoring activities, we are able to contribute better and more peaceful living conditions for the people living near the Administrative Boundary Line (ABL). The best proof of this is the smiling faces and welcoming greetings of the locals that meet our patrols every day. We make a valuable difference.